In recent weeks, I had the immense privilege and honour to be introduced and welcomed by my benefactor and stem cell donor when I made that much needed trip out to Chicago. Peter and his family were keen to introduce me to many of their friends and acquaintances, and I am very glad that I was not given only the ‘royal’ tour, where one often only sees what is good, healthy and beautiful. In fact, I was even more pleased and touched when they wanted me to be introduced and included in their real world where their friends experience suffering and pain and loss. Some were clearly in a state in their lives where God’s mercy was something which they craned their necks to see. Two of these deserve special mention. One was a lovely and extremely articulate 6-year-old girl named Ava Lee. A true delight and joy to encounter, she is one of three children of a pastor and his wife. This is a young family, and Ava suffers from biphenotypic leukemia. It was the first time I had ever met another patient with the same strain of rare leukemia as mine. This is a very rare and aggressive strain of the illness. In my regular visits to the blood cancer wards where transplants take place, I had been keenly looking out for patients with this particular strain. I wanted to encourage them with a personal sharing of my own journey of getting my stem cell transplant, which saved me from death. However, it was clear that this particular strain of leukemia is indeed very rare, with only less than a handful being diagnosed in any given year in Singapore. I was therefore so surprised and perhaps even delighted to meet in this little dynamite of a person, Ava, another biphenotypic leukemia patient. I seemed to have to travel half the world away to make this acquaintance. The kind of shared suffering and anxieties this lovely and faith-filled family went and still goes through now is incredible, to say the least. Yet, it was beautiful to see that there was a peace that pervaded through their home despite the cross that they all stood under. I was also very thankful for the opportunity to be taken along by my hosts to a wake of their dear friend Janet who passed away from cancer during my stay in the Chicago area. This young lady had left behind three young children and a grieving husband. In a very dignified and solemn funeral home, the three of us stood at the open casket and joined the grieving family as they faced a seemingly dark horizon ahead of them without their mother and wife. In such grim circumstances, it is often the physical presence of the community that serves as a strong reminder that we are really not alone, even when loved ones are no longer present. In fact, it is the faith of the community that often becomes a real testimony of Christ's presence in a new way. Both these encounters and introductions seemed to make my visit to see my stem cell donor something which reminded me that life seems to necessarily include this mystery of suffering, perhaps even more so when one is close to Jesus in faith. To anyone who doesn’t have the gift of faith, these can be the reasons for one to stay away from any belief in the existence of God as one will naturally demand clear reasons for suffering in life, or for the complete eradication of any form of suffering and pain. But for those who are given this precious gift of faith, suffering and even death has a meaning that goes beyond logic and beyond anything that is clearly and easily explained. At these liminal moments, faith allows us to see that they can be the very things that magnify the Lord. I am reminded of a beautiful book which I read while I was in DC before my own illness changed the landscape of my life. It is considered a Catholic classic, written way back in 1944 by a mystical writer named Caryll Houselander. Caryll herself went through much suffering and anguish in her life, and was given the great gift of being able to see that God’s amazing plan almost requires one to make of one’s suffering something usable to God. The book is entitled The Reed of God, and she posits in her reflections that like Mary, each of us can become vessels or instruments through which God plays the symphonic melody called life. The author proposes that Mary was a reed through which the Eternal Love was to be piped as a shepherd’s song, and essentially asks if we are reed pipes where we allow God to live lyrically through us. She symbolically uses the reed to convey this truth beautifully. Woodwind instruments produce sound by focusing air into a mouthpiece which contain this small piece of planed reed to vibrate. If we then image our lives as a reed, placed in God’s instrument and allowing God to blow his spirit in and through our very lives, we can then play a part in producing the beautiful tunes that make up God’s great divine symphony. All sufferings, especially innocent suffering, when lived out in faith drains us to some degree. Ava’s parents are visibly drained by seeing their precious and lovely child go through her pains and rejections issues which I can fully empathise with. But apart from draining us, redemptive suffering lived out in faith also does something else. 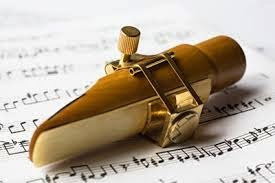 It makes one supple, and it makes us usable by God, like the way a thinned and seemingly piece of reed when placed correctly, can vibrate to produce beautiful sound. In fact, even the violin can be seen as an analogue to the same effect. It is the tensions that the strings undergo when stretched taut and pressed at strategic places on the neck of the instrument that enables the correct note to be sung when the bow is drawn across them. Faith allows us to see that God is both the hand that holds the violin and the bow that is drawn across the tensed strings which we call “life”. When I saw how faith-filled and loving folk like these I met strained and still ache to see God working through their pain, I was, and still am, encouraged and strengthened in my own journey through my own weaknesses and physical struggles in my recovery journey. Living life with its ups and downs and not despite them becomes then something that is possible simply because we are just bit parts in the huge production called the theo drama of God. This becomes our shared task as disciples of the Lord. Thank you Fr Luke Fong for your deep sharing. Through your reflections, I am beginning to grasp the concept of redemptive suffering. Fr. Luke, we were blessed to have you in our home for the week, and to have you alongside us as we grieved with Janet's family, and celebrated with Ava's family. Thank YOU for who you are, and we thank God for your ministry! Thank you, Father, for your sharing & reflections. Recently, while going through the reflection on the blessings of motherhood & the mystery of suffering, I shared a Mother's Day article about the unique connection both the Mother & child has between them; at the same time praising the mothers for their courage to brave the uncertainties of pregnancy & childbirth to change their lives for love & for the children. We are blessed to be able to look after the children & at the same time learn more about our faith through loving them. I know of a vibrant woman who's life took a 180 degrees turn after delivering her 3rd child. Now she's unable to speak & look after herself, not to mention looking after her newborn & 2 other young children. Our lives change when we have children but nobody can guarantee that it would not change to one with unexpected suffering. I pray that both herself & her family will understand what you have mentioned, "Suffering has a meaning that goes beyond logic." It can be a frustrating journey for them when they don't know the beauty of the ultimate destination. Before the mass I was reflecting on today’s Gospel......... on why ‘your sorrow will turn to joy’.......... I was pleasantly surprised that the homilist gave the answer – “when you have experienced God’s unconditional love...............all the challenges and set-backs, sufferings and hardships and sorrows will turn to joy....”and I do believe that includes all the pains and fears too. For pain and suffering do really isolate the sufferer and this isolation becomes an additional pain that makes it worse. When one knows that the one who seeks to comfort has been through the same painful path, it makes a world of difference to the sufferer – for one knows the empathy is sincere, is heart-felt. Perhaps, that explains why Christ has to undergo his passion and death..........and one knows that from such a one like this, who has suffered much, He will not judge us too harshly for He understands.